It was in 1977 that E. John Stephens started the company Timmins Northland Monumentsat its present location 446 Mountjoy Street South. He believed that there was a need for this type of business in Northern Ontario. At the time there were only two employees working with Mr. Stephens: Francine Lessard and Ray Rains. 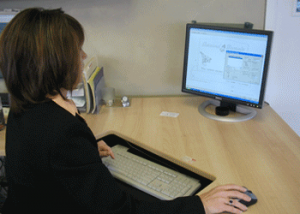 In 1990, Francine took over the reigns of Timmins Northland Monuments and the company evolved from doing all of the work manually to a system that now utilizes mostly computerized equipment. 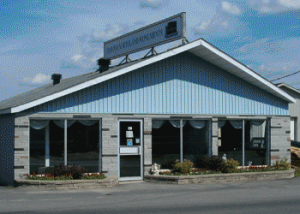 In 2009, Nicole and Yvon Lessard became the new owners of Timmins Northland Monuments. They are committed to serving you with the same care and compassion of the years past. 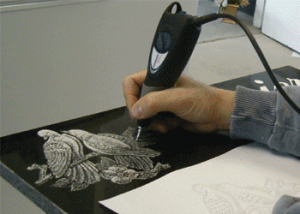 Timmins Northland Monuments still employs four full time people during the summer months, Francine as sales manager and Ray, our resident artist, who does all of the personalized etchings. Altogether we have over 75 years of experience in the monument building business. Born and raised in Val Gagne, Ontario, Yvon has over 15 years experience in monument sales and service. He worked in the retail sector as manager of operations for a local business for over 25 years. Yvon has always been involved in the community, serving on different boards and giving numerous hours as a volunteer. 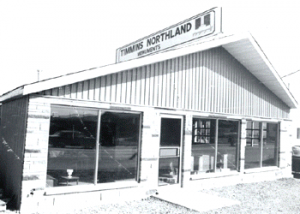 In 2009, Yvon with his wife Nicole became co-owners of Timmins Northland Monuments. He is always flexible with his time and will visit families in their own home to accommodate their individual needs. Nicole was born and raised in Iroquois Falls, Ontario. She started working for a local business in bookkeeping and accounting and worked in that field for the next 30 years. Nicole has always been involved in her community, dedicating her time to volunteering at school activities, church and community events. Nicole is dedicated to serving her clients with care and dignity. She is always looking for ways to improve herself to better serve the bereaved families that come in to purchase a memorial. Francine was born and raised in Val Gagne, Ontario. She started working for Timmins Northland Monuments in 1977. Francine brings her knowledge and experience in the making of every monument. She completed the Dale Carnegie Course in 1987 and in 1990, she was certified by the Ontario Ministry of Skills Development as a Memorial Craftsman. Francine studied psychology and sociology at the Universite de Hearst a Timmins and also attends seminars on “Death and the grieving family” to stay sensitive to the needs of the families that she serves. Ray was born and raised in Sault Ste Marie, Ontario. He started his career in the monument trade at Lock City Monuments. When he moved to Timmins in 1982, he found work at Timmins Northland Monuments. In 1990, Ray became one of a handful of people certified by the Ontario Ministry of Skills Development as a Memorial Craftsman. He has worked in every aspect of the monument building process for over 30 years. Ray is our resident artist, choosing granite as his canvas. He is an excellent monument builder and brings a high level of precision and perfection to his work. He is also an accomplished woodworker and enjoys working with antiques.